Hiker Box: a box found in hostels and other hiker gathering spots where items can be left behind to be picked up and used by other hikers. “Treasures” for us have included fancy protein bars and hot-pink rope! Zero Day: any day when zero miles are hiked. This is often associated with town days. Near-o Day: a day with limited miles. 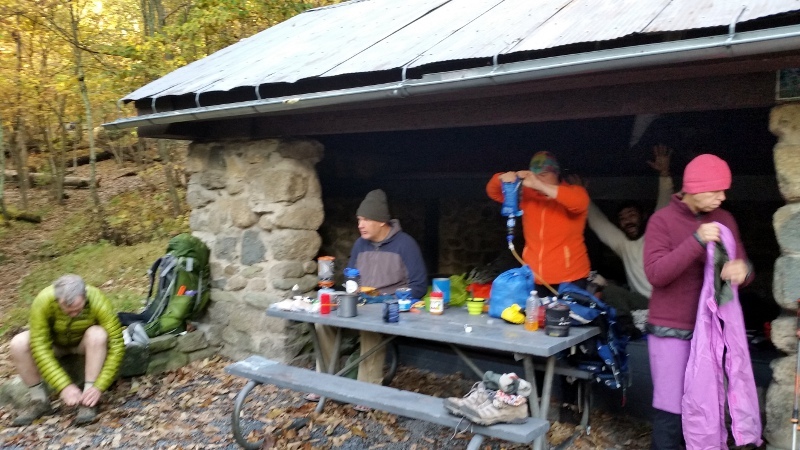 Efficient hikers manage to hike a few miles to town, complete a resupply, and hike a few miles further down the trail to the next shelter, all in one town day. We have not yet mastered this level! Hiker Midnight: either 8 pm or 9 pm, depending on which hikers you talk with. By this “late” hour all the backpackers are headed to bed after a long day of exercise and fresh air. Hiker TV: There is great entertainment to be found in people-watching, whether in town or when day-hikers share the trail!